Since moving house I haven't really had a chance to set up a work space properly, I'm currently working at a hastily set up desk in the corner of the living room. Ideally I'd like a workroom all of my own, but to be honest that seems unlikely, for the time being anyways. 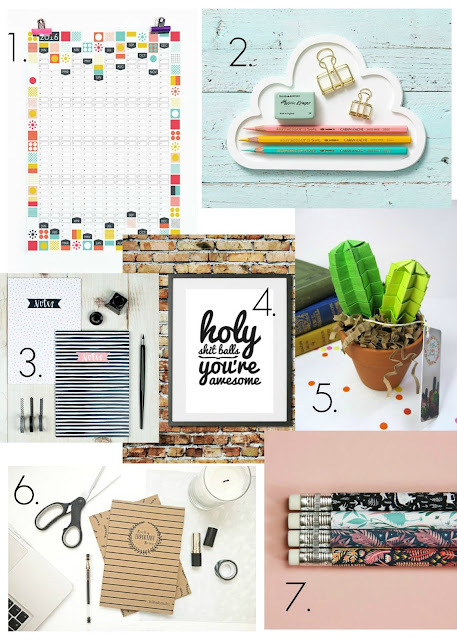 So in the meantime I shall dream of a room of one's own and browse etsy for all the things I will adorn my desk with once I'm no longer living on a building site! 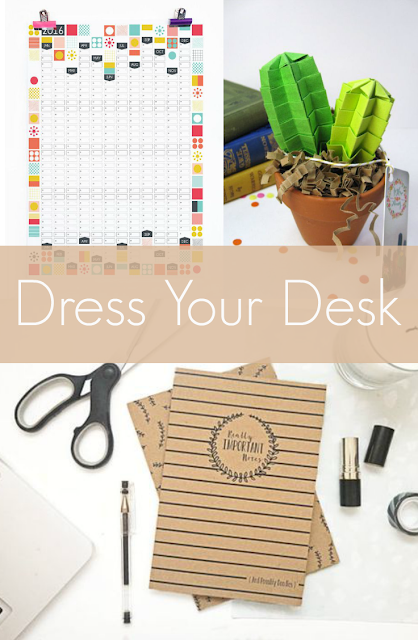 For more inspiration for desk attire from etsy sellers take a look at my pinterest board and the Etsy 'dress your desk' collection.